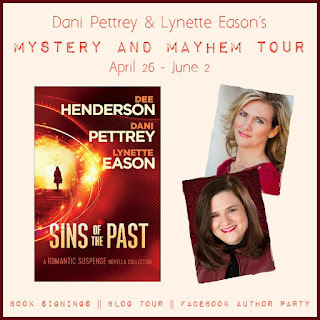 Join us on our Mystery and Mayhem Tour and solve clues along the way, as we celebrate the release of our romantic suspense novella collection with Dee Henderson, SINS OF THE PAST. The tour culminates in our Facebook Author Party on June 2 (6 PM - 8 PM CDT). There will be Q&A, giveaways...and some exciting reveals for the Mystery and Mayhem Tour. Learn more about the kidnapping mystery surrounding the launch here! Dee Henderson is the New York Times bestselling author of more than a dozen novels including Full Disclosure and Taken. She is a lifelong resident of Illinois. Visit her online at http://www.deehenderson.com. 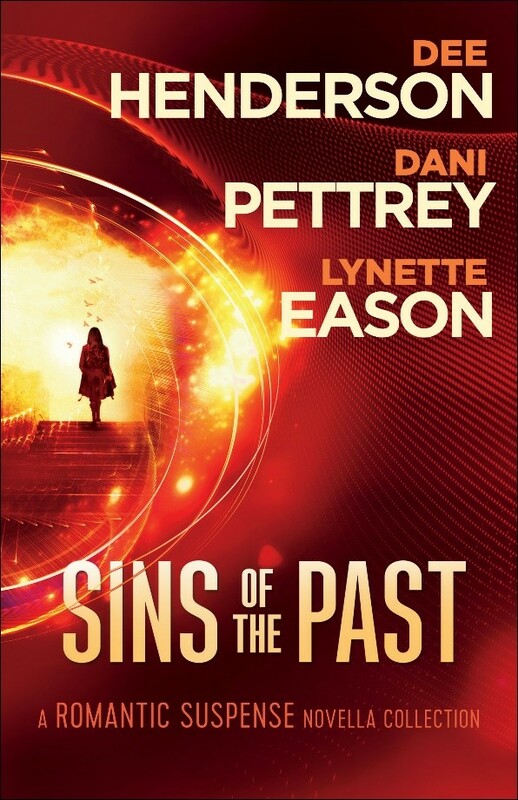 Dani Pettrey is the award-winning author of the acclaimed Alaskan Courage series as well as Cold Shot, the first in her Chesapeake Valor series. She lives with her family in Maryland. Find her online at http://www.danipettrey.com. Lynette Eason is the bestselling author of the Women of Justice series and Always Watching from her new Elite Guardians series. She resides in South Carolina and can be found online at http://www.lynetteeason.com. Ben approached the orca pod, knowing he could be flipped any instant, praying they didn’t view him as a threat. The lagoon was teaming with shoals of herring this time of year and most of the pod was feeding on them below the surface. If he could just maneuver close enough, he could grab hold with the hook next time they nudged the body off one of their noses. They spotted him, several circling the kayak. He’d spent enough time in these waters that the kayak shouldn’t be an unfamiliar sight to them. With great patience he waited until the opportune moment presented itself, and then he scooped, tugging the body to him—a woman—still intact for the most part. Laying her across his lap, he eased back and paddled for the boat. Libby greeted him at the stern, concern etched across her furrowed brow. “You reach the coast guard?” he asked. Libby’s eyes widened, but she did as he instructed, grabbing hold of the woman’s torso and pulling as he hefted her onto the ship. Libby lost her balance on the slippery surface, tumbling back, the body’s dead weight collapsing on top of her. Securing the kayak, he scrambled up to assist, rolling the body off of her. He helped Libby to a seated position, and her eyes widened in horror at the sight of the woman’s partially nibbled face. Thanks so much for featuring us, Maureen! Whoa. Suspense! Another clue! Yay! Yay! Thanks for hosting a clue!